Mr Hiroaki Chosa was AIMS’ longest-serving President, from 1991 until 2010, during which time he established the financial security of the Association and presided over a fourfold rise in membership from 74 to 301. Mr Chosa’s consistent attendance and participation at exploratory meetings before the foundation of AIMS, and during the period of consolidation that followed, helped to make AIMS a truly global organisation from the start. He was elected to the Board at the first AIMS World Congress, held in London in May 1982, to represent the prestigious Fukuoka International Marathon. In practice he brought the full weight and authority of the Japan Association of Athletics Federations (JAAF) to bear in support of the road running movement when it was in its infancy. 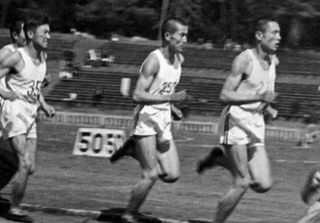 Although Mr Chosa was a middle-distance runner, winning the 800m and 1500m titles at the 1953 Japan National Championships in Athletics, the Marathon had for decades been a Japanese passion. Born on 7 June 1930 in Kagawa Prefecture Mr Chosa graduated from Tokyo University of Education and began a successful career as coach of Juntendo University Athletic Club. He trained some of Japan’s leading athletes including national record holder in the long jump Hiroomi Yamada, who competed in both the Tokyo and Mexico City Olympic Games, and Keisuke Sawaki who competed in the Mexico and Munich Olympics at 5000m and 10000m. He also trained Yoshio Koide as coach of the marathon and middle distances whose athletes included Olympic silver and bronze medallist Yuko Arimori and Olympic Marathon Champion Naoko Takahashi – who became the first woman to run faster than 2 hours 20 minutes in the 2001 Berlin Marathon. Mr Chosa himself attended the Olympic Games in Munich (1972) and Montreal (1976) as Japan’s Athletics Coach and the 1988 Olympic Games in Seoul as Deputy Chief of the Japan Delegation. Mr Chosa became senior managing director of JAAF in 1979 and Vice President in 1992. He was instrumental in launching the Tokyo International Women’s Marathon, which influenced the adoption of the women’s marathon as an Olympic event in 1984. He also promoted the Inter-Prefectural Women’s Ekiden, which helped the development of female long-distance runners in Japan. Mr Chosa assumed the AIMS presidency in 1991. Over the next 20 years he played a central role in the global running movement. Under his leadership AIMS benefitted from his recruitment of several Japanese sponsors including ASICS. This partnership was cemented by the synergy of Mr Chosa’s relationship with ASICS’ marketing executive Yutaka Sasai. 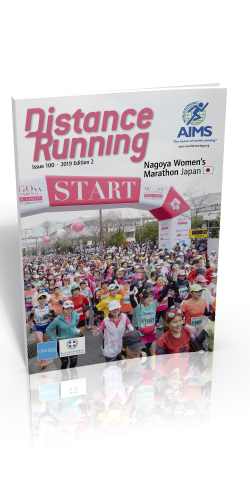 Working with another long-time colleague of Mr Chosa’s, Jiro Hashimoto, who heads the current AIMS sponsor Runnet Global, Yutaka Sasai continues to assist AIMS in the mission to promote distance running throughout the world. On becoming AIMS President Mr Chosa was instrumental in launching the new-look AIMS magazine Distance Running as the Association’s major marketing tool in promoting members and sponsors alike – which next month celebrates its 100th edition. In his position of JAAF representative to the International Association of Athletics Federations and a member of the IAAF Cross Country and Road Running Committee he showed the value of road running events to the IAAF whose focus up until then had been overwhelmingly on stadium events. Mr Chosa masterminded the organisation of the AIMS New Year Fun Run Series in in Sydney, Tokyo, Bangkok, Cape Town, Paris, Rio de Janeiro, New York and Honolulu on New Year’s Eve in 1998 and 1999. The series raised donations for Unicef and demonstrated the power of road races in raising support for social and charitable causes. Using his position as a Vice-President Mr Chosa helped to convince the IAAF that the highly practical “calibrated bicycle” method of measuring distance races would generate accurate courses. As a result the IAAF Congress eventually approved “world record” status for road races in 2003. 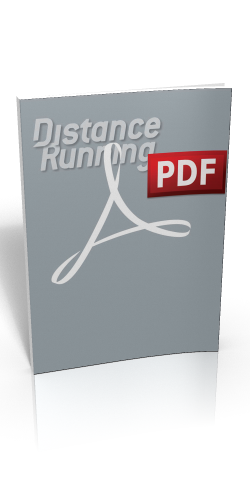 This was far more powerful than the previous “world best” terminology and helped raise public awareness of the sport of distance running. He continued to promote a more friendly environment for distance races as a member of the IAAF Road Running Commission from 2006–2010. Despite his Herculean work ethic it was not all work and no play. Mr Chosa invariably brought his golf clubs to every AIMS Board meeting and Congress, usually inviting fellow AIMS golf enthusiasts Frank Baillie and Yutaka Sasai to play – including a memorable game in Buenos Aires and a pilgrimage to the ‘Home of Golf’ The Royal and Ancient Golf Club of St Andrews in Scotland while attending an AIMS Board meeting in Edinburgh. 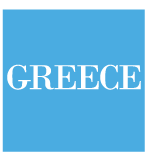 At the 18th World Congress of AIMS held in Athens in 2010 and coinciding with the 2500th anniversary of the Battle of Marathon Mr Chosa passed the baton as AIMS President to Paco Borao, with whom he had worked together on the AIMS Board for the previous 14 years. Extending beyond his retirement Mr Chosa held honorary positions as advisor to the Tokyo Marathon and as President Emeritus of AIMS. IAAF awarded him the Silver Order of Merit in 2010. In March 2019 AIMS presented him with the ‘Lifetime Achievement Award’ in recognition of his sustained contribution to the sport of distance running over a period of several decades.